The Facebook Fellowship program supports Ph.D. students doing groundbreaking computer science research for one academic year. Over the past two months, the 2011-2012 Facebook Fellows have been gearing up for the end of their year with visits to Facebook HQ to present their research and meet the team. Here’s a look into one Facebook Fellow’s experience in Palo Alto. UC Berkeley, 4th year Ph.D.
Q: What was your presentation about? Modern application platforms (like Android, HTML5, and Facebook) assign “permissions” to applications. A permission grants the application the ability to access some information about the user or make a change to the user’s settings. Permissions can potentially inform users of the risks of using or installing applications and limit the impact of vulnerabilities in trusted applications. My research explores whether current systems that use permissions are actually benefiting from them. The talk covered studies I’ve done on Android applications and Google Chrome extensions. I talked about application permission requirements, applications that ask for extra privileges, malware permission usage, the permissions leaked by buggy applications, and some usability studies. Q: Who at Facebook connected with your research? After the talk, I was able to meet some people at Facebook who are working on their application permission dialog. There was time to talk to people and see what was mutually interesting. I’m taking the lessons I learned in my research about permission systems and building a prototype for how I think future permission systems should be built. I’m planning to attend a few conferences in the spring — my Facebook Fellowship is funding attendance to WWW, which is always an interesting conference. 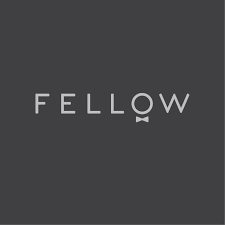 Interested in becoming a Facebook Fellow? The 2012-2013 program has 12 slots, two of which are designated for women and those from underrepresented groups. Apply here by December 16. We also invite faculty and students interested in the program to like the Facebook Fellowship Page for updates on the program, details about the submission process and answers to frequently asked questions.